Found in a thrift shop one day, I picked this title up having some faint inkling of O’Brien’s name but no clear idea how that was so. I knew that she was an Irish author, and probably wrote gritty domestic drama type stuff which happened to be exactly what I was looking for… So I snapped that little baby up. O’Brien writes lyrically about the Irish countryside which leads to an interesting comparison: the quiet and calm of the countryside vs. the high stakes drama of the young woman and her lover. Perhaps this was also a subtle reflection of control: being controlled by the church/being free to make own decisions, the push for women’s rights and the role of women in 1960’s Ireland, perhaps even the idea of Ireland chafing under English rule? So – this was a good read. As I came to the end, I realized that this was Volume II in a trilogy (called “The Country Girls”) which follows the trials and tribulations of two young Irish friends. This was fine as a standalone and as a new reader, I didn’t feel lost at all with regard to the narrative. 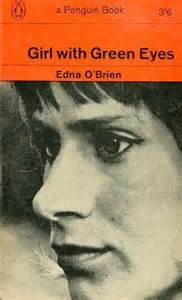 Some background about O’Brien: according to Wiki, O’Brien is considered by some to be the “doyenne” of Irish literature, and the first volume of this trilogy was banned, burned and denounced by the Catholic Church of the time. After this, naturally, O’Brien left Ireland and went to London where she went on to write about the 1960’s taboos about sexual matters and social issues in her work, continuing to ruffle the feathers of the Church. O’Brien herself was the youngest daughter of a very strict family – her parents were vehemently against literature (except, presumably, the bible) and this is reflected in the comment O’Brien made at one point, saying “Unhappy houses are a very good incubation for stories.” Knowing this and having read this second volume, I think it’s safe to say that this one was fairly autobiographical in places. 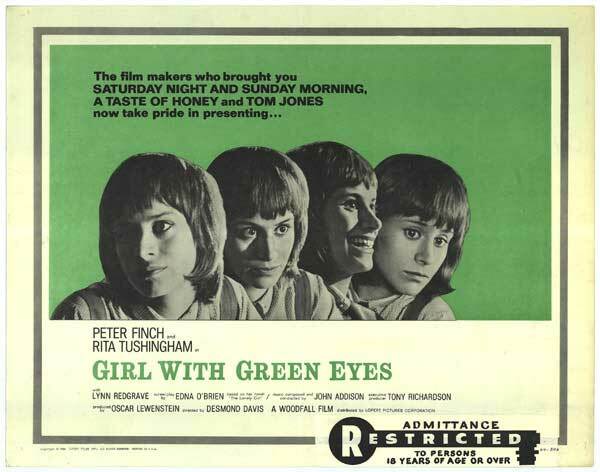 This was made in a film of the same name in 1964. Anyone seen it? So, overall, I enjoyed this read and will probably search out more O’Brien work in the future. This entry was posted in Uncategorized and tagged domestic, Fiction, irish by lizipaulk. Bookmark the permalink. I’ll be reviewing The Country Girls this week too – it’s good to know that they work as stand alones. Do you think you’ll read the rest? Yes, I do think so. I’m not sure that that will be immediately, but she has been added to the list of backlist people I would like to explore. I’m pretty curious about the first one in the trilogy….. I enjoyed it. Not what I was expecting at all.